I know there are plenty of people out there that love leftovers, but in my household, we prefer not to eat the same thing over and over. Well, by we, I really mean me. My husband on the other hand could go to town on turkey, mashed potatoes and corn as leftovers all year round! 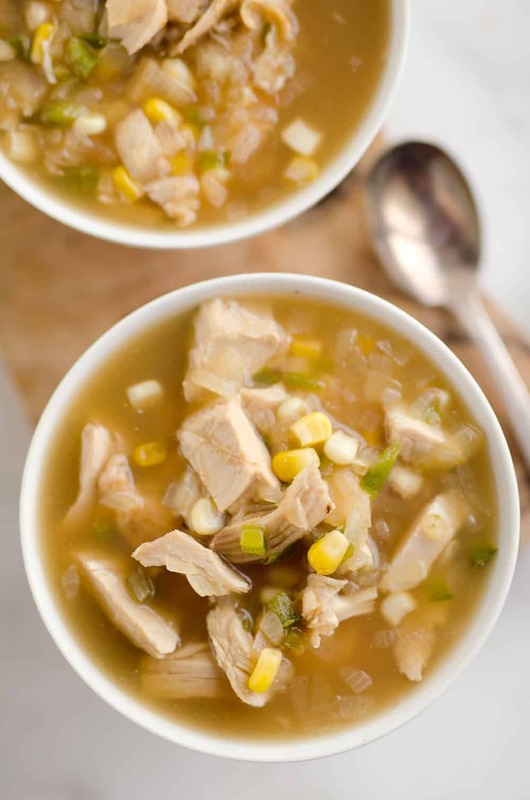 I on the other hand like to transform my leftovers into delicious and easy meals like this Spicy Turkey & Sweet Corn Soup or some Mini Buffalo Turkey Pizzas. You might see a trend in my leftover makeovers and that is SPICE! If I have to be brutally honest, holiday meals aren’t always my favorite. The same old dishes just don’t tend to excite me. After what can sometimes be a boring meal, I like to kick things up a notch with a spicy kick! 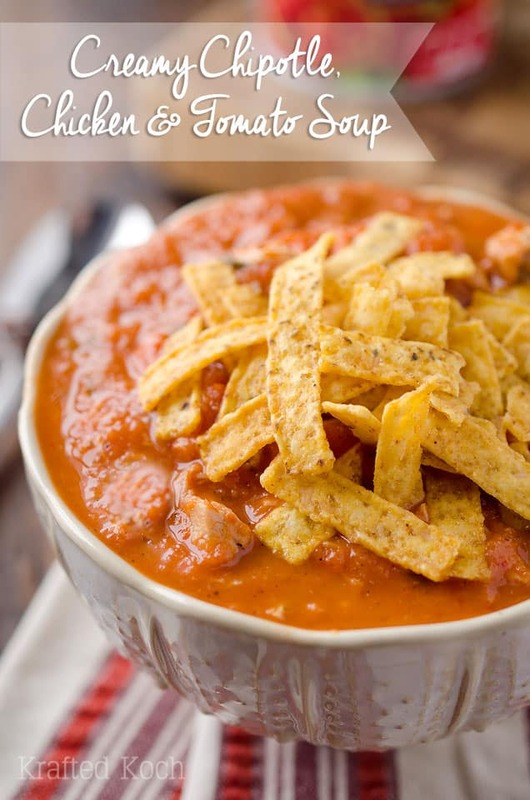 Whether its from buffalo sauce on pizzas or jalapeños in this soup, it adds something exciting that I was missing at the holiday meal. 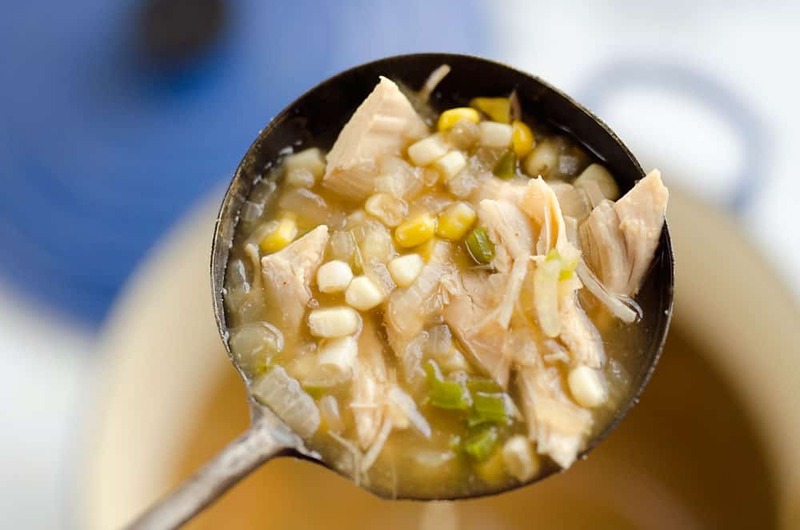 This Spicy Turkey & Corn Soup is amazlingly easy and comes together in a mere 15 minutes! Saute up some onions and jalapeños, add in your leftover turkey and sweet corn from the holiday meal along with some spices and broth and you have an unbelievably quick meal ready for those overnight guests or a weeknight dinner for the family. Turkey isn’t just for the holidays either. 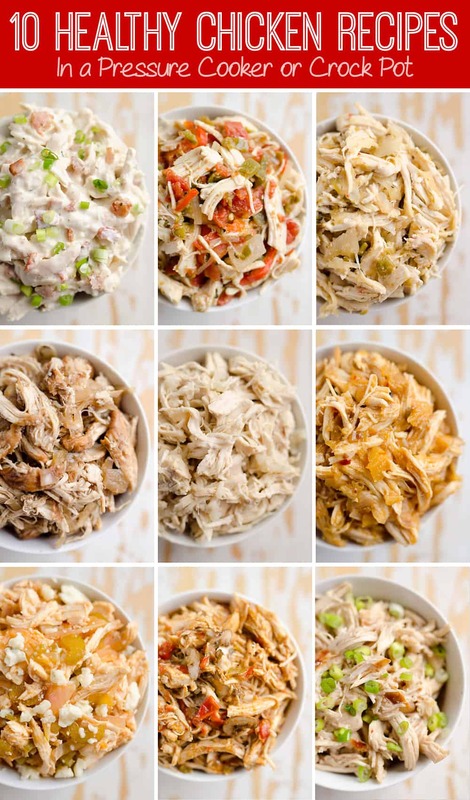 If you get your hands on a Jennie-O Oven Ready Turkey, you will be making turkey all year long for your family after you see just how easy it is! 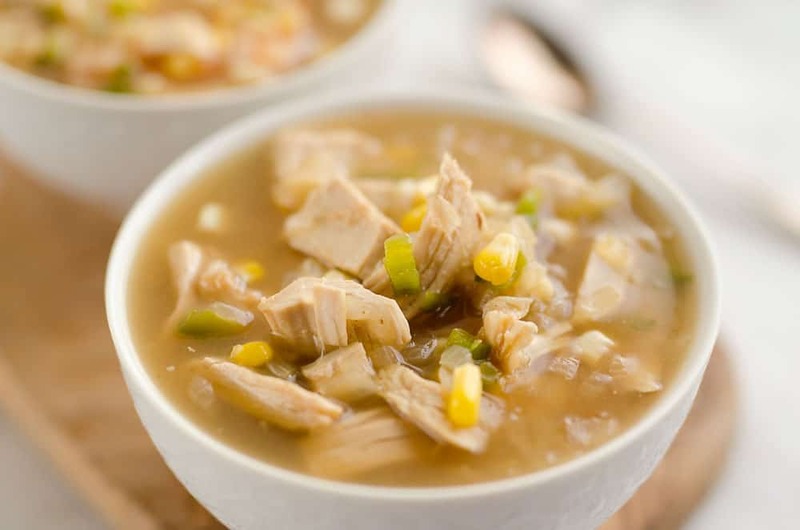 Make an impressive meal of turkey and potatoes for Sunday dinner and whip up this easy soup in the follwoing days for a weeknight dinner. You will have some seriously impressed family members if you do! 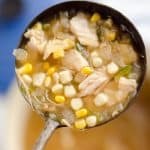 This soup calls for store-bought chicken broth, but if you wanted to really take it to the next level, you could use the juices you collect from cooking your turkey. Most people will use up those drippings for gravy, but if you aren’t a big gravy person like myself, but don’t want all that goodness to go to waste, this is the perfect way to use it up! 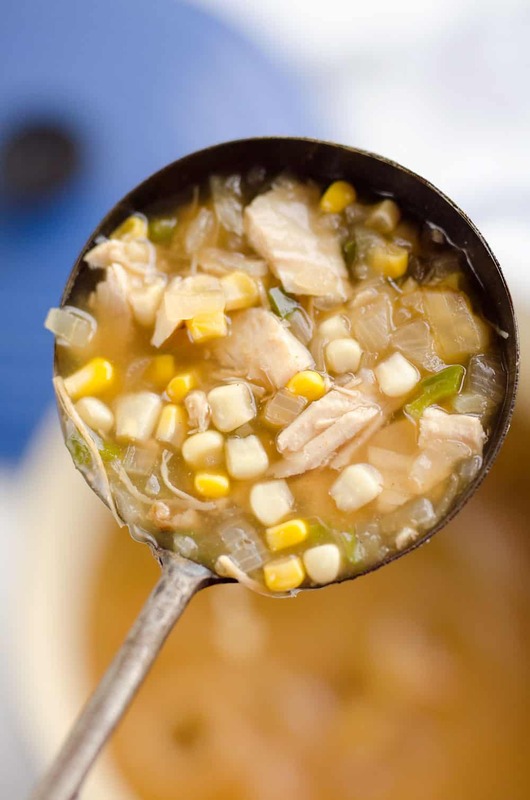 Another modification you can make to this recipe to use up more leftovers, is using your leftover sweet corn from the holiday dinner. If you are like my family there won’t be any left to spare. We grow and freeze our sweet corn each fall so it is exceptionally tasty and therefore flies off the dinner table. 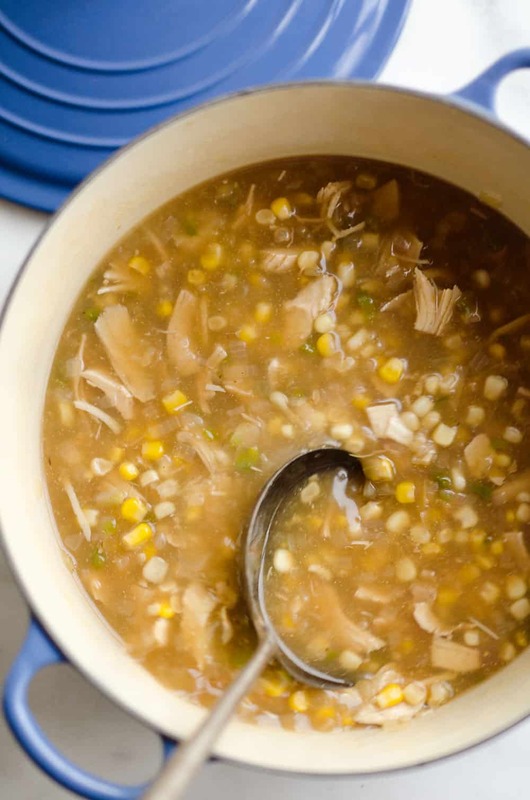 I used frozen store-bought corn for this soup because I didn’t have any leftovers on hand. If you do have some corn sitting in your fridge, simply add it towards the end of the cooking process instead of the beginning, just so it has enough time to heat through. 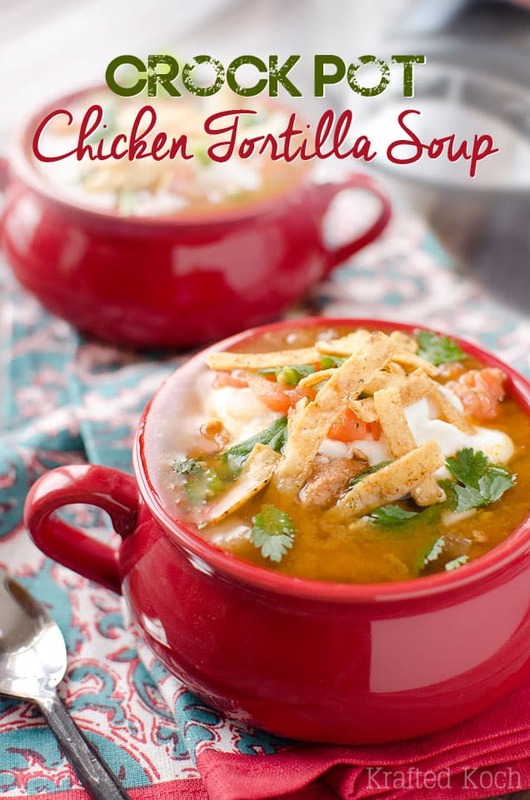 I made up a batch of this soup and enjoyed a hot bowl with some crackers. If I’m being perfectly honest, I used Chicken Bikits. I loved these crackers from childhood and for some reason I have never outgrown them. They are just so good! Please don’t judge. 😉 Even better, tell me I’m not alone! 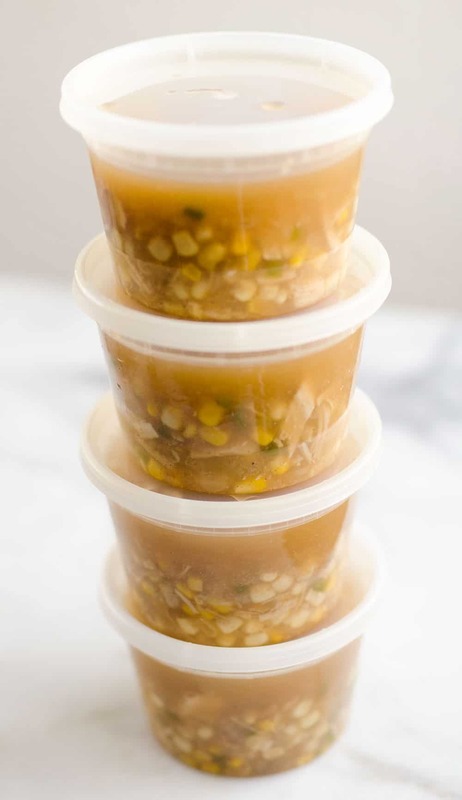 I packaged up the leftover Spicy Turkey & Sweet Corn Soup in these microwave safe deli containers that are great for reheating leftovers. I brought a couple cups to work and it was such an easy and healthy leftover meal…with Chicken Biskits of course. Haha! In a dutch oven or large kettle, saute the onions and jalapeño in olive oil for 4 minutes over medium-high heat. Add spices and saute for 1 minute. 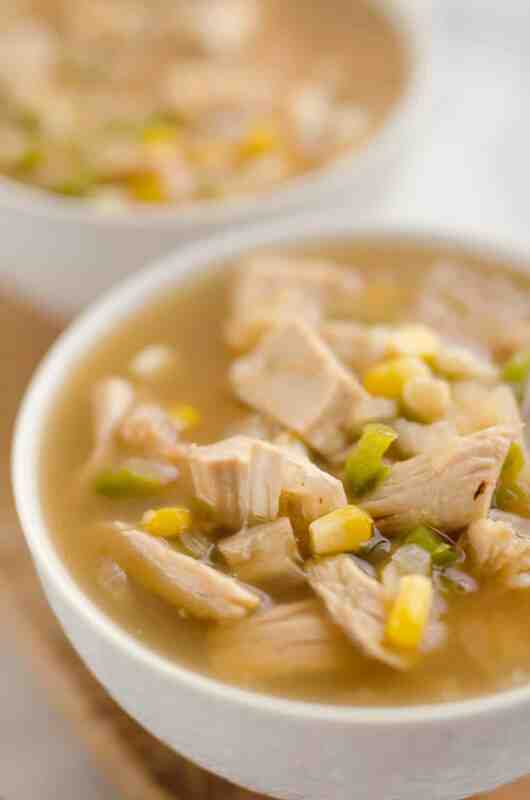 Add the broth, turkey and corn to the pot and cook on medium-high heat for 7-10 minutes, or until heated through. Thank you for helping me out with the sodium content and a nutrition guide. 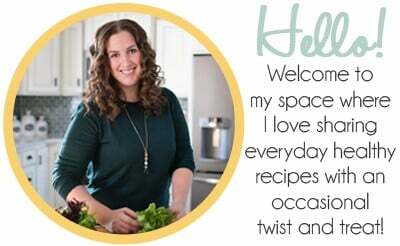 I will be making the soup this weekend for my family and am so glad you helped me with this.